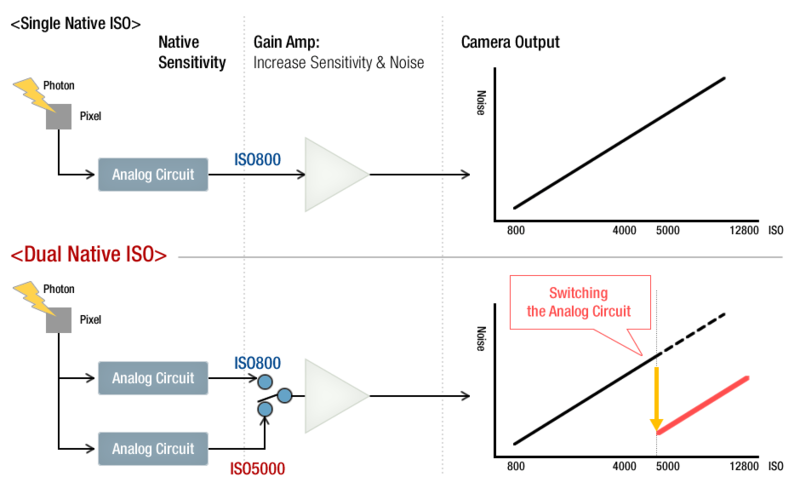 Dual-native ISO technology means exactly that – that there are two optimal settings in-camera. The native ISO of a camera is the sensitivity of a camera that gives you the best possible image. Any other setting means applying a level of gain, which amplifies the digital noise in an image. As a result, ideally you should always use a camera at its native ISO. The VariCam line-up’s dual native ISO of 800 and 5000, or EVA1 and GH5s’ of 800 and 2500 has completed transformed the process of film-making. There’s now less need for expansive lighting rigs. Shooting now becomes (and looks!) both spontaneous and free. Having more opportunity to shoot in natural light opens up new levels of creativity. City scenes at night can now explode with colour. Dawn and dusk shimmer with a newly found luminosity. Usually with low-light you can imagine your image to look like monochromatic night vision but with dual-native ISO technology it doesn’t. Instead, you see a full spectrum of colour with your full dynamic range. There are other benefits too. With fewer lights needed, shooting now becomes more affordable. Not only can the lighting budget be made smaller, but without the heat generated by banks of HMIs on larger shoots, there’s less need for expensive air-conditioning on-set. Frame Rates – which one works for you?